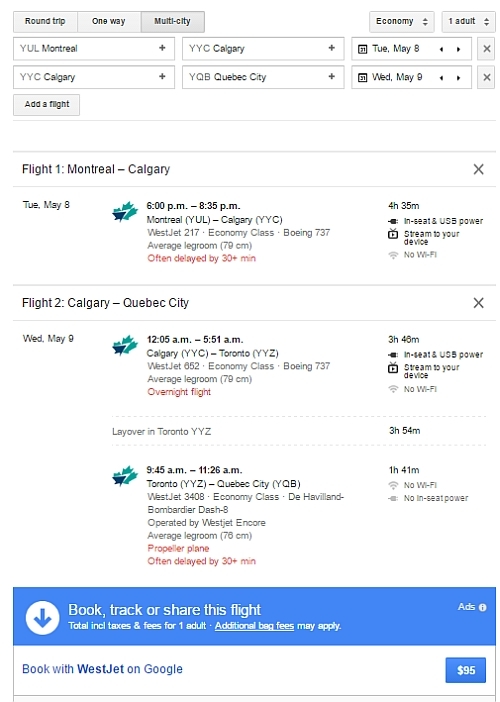 WestJet is showing flights that make it possible to fly from Montreal to Vancouver and back for only $293 CAD roundtrip including taxes. 1. First we look for a flight from Montreal to Vancouver. 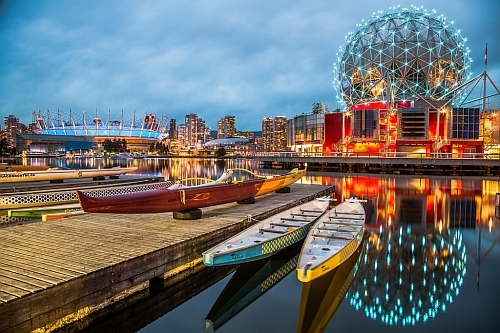 - You'll notice these are WestJet flights where you fly from Montreal to Vancouver, and then Vancouver to Quebec City (all on the same day), for a total of only $95 ! *But*, we will only be using the Montreal to Vancouver portion of this flight, and skipping out on the Vancouver to Quebec City leg. You can also find similar prices in April, May, July, August, September, and October. Just try different dates. Try starting with Tuesday/Wednesday/Thursday dates for the lowest prices. - you can find other one-way flights throughout the year for $212 to $232. 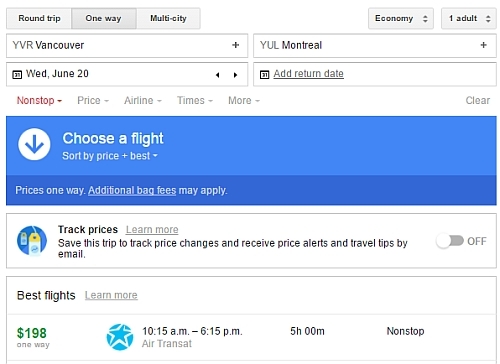 montreal, yul, flight deals, air transat, westjet, canada, north america, bc, british columbia, vancouver and yvr.